The protection overall DuPont Tyvek® 600 Plus is a type 4 overall when handling cytostatics, various chemicals and biological substances. 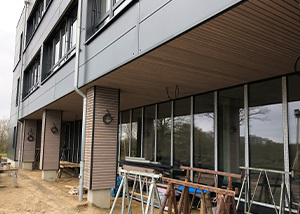 The well-known Tyvek-Material has a sturdy and lightweight design, is very comfortable to wear and meets the requirements of EN 1149-1 being anti-statically treated. You need protection against a special substance? Please take a look in the permeation guide. 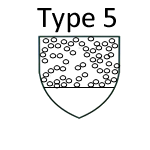 Chemical protective clothing type 4, 4B, 5 and 6. High barrier function against chemicals, CMR drugs (e.g. cytostatics) and biological agents. 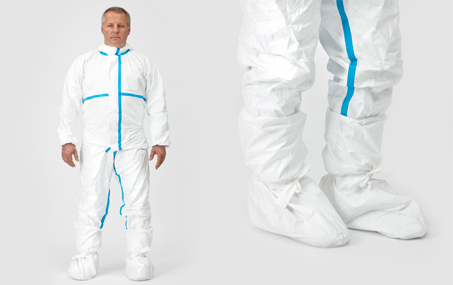 A chemical protective coverall when handling cytostatics and chemicals (please see permeation results). 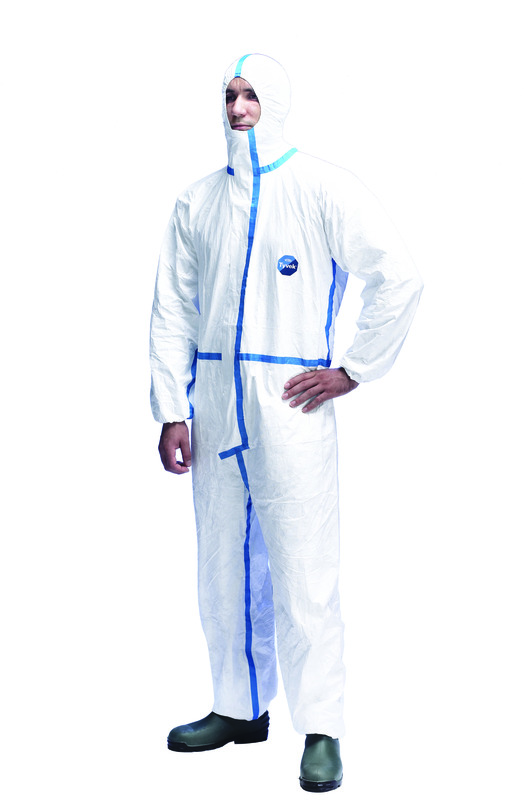 Coverall is also suitable as a pandemic protection overall such as bird flu, but not for Ebola - for the Ebola virus please use a type 3 coverall! Available boots for this product: Tyvek Isoclean protective boots. To open PDF files you need the free Adobe Reader. 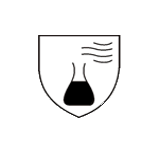 Sign for the protection from chemical hazards according to DIN EN 374 and DIN EN 340. This applies esp. for protective gloves and protective clothing for the use with CMR drugs (e.g. cytostatics). 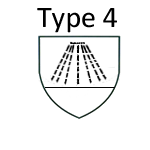 Labeling of a protective jumpsuit Type 4: Spray-protective suits according to EN 14605. 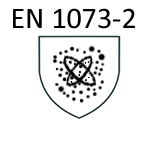 Labeling of a protective jumpsuit Type 5: Particle-tight protective suits according to EN 13982. 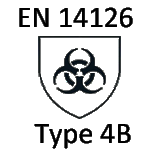 Labeling of a protective jumpsuit Type 6: Limited spray protective suits according to EN 13034. 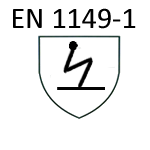 Protection against electrostatic charges according to EN 1149-1: 2006 in combination with EN 1149-5: 2008 standard. Here you can submit your online request on this and other products. For a personal contact, please find your contact person at contact. Thank you for your interest in our company! The protection of your personal data is important to us. We collect and use your personal data exclusively in accordance with, and within the framework of, the valid data protective laws of the Federal Republic of Germany, particularly the General Data Protection Regulation (GDPR), the German Federal Data Protection Act (BDSG) and all other applicable legal data protection provisions. The purpose of this Declaration is to inform you of the nature, extent and purposes of the collection and use of personal data when you use our website. You can access this information on our website at any time. Personal data is all data through which a natural person (data subject) can be directly or indirectly identified, e.g. name, address, e-mail address and user behaviour. If you have any questions or ideas concerning data protection, please do not hesitate to contact our Data Protection Officer directly. Insofar as we obtain the data subject’s consent to the processing of personal data, the legal basis for this is Art. 6 para. 1 lit. a) of the EU General Data Protection Regulation (GDPR). In the event of processing personal data that is necessary for the performance of a contract in which the data subject is a contracting party, the legal basis for this is Art. 6 para. 1 clause 1 lit. b) GDPR. This also applies to processing that is necessary for carrying out precontractual measures. Insofar as the processing of personal data is necessary in order to fulfil a legal obligation to which our company is subject, the legal basis for this is Art. 6 para. 1 clause 1 lit. c) GDPR. In the event that vital interests of the data subject or of another natural person make it necessary to process personal data, the legal basis for this is Art. 6 para. 1 clause 1 lit. d) GDPR. If the processing is necessary in order to safeguard a legitimate interest of our company or of a third party, and if the interests, basic rights and basic freedoms of the data subject do not outweigh the first-mentioned interest, the legal basis for this is Art. 6 para. 1 clause 1 lit. f) GDPR. We specify the respective legal basis for the processing in conjunction with the information on the individual data processing procedures in this Data Protection Declaration, or when you disclose your personal data. At our company, we only give access to your data to those departments that require the data in order to safeguard our legitimate interests or to fulfil our contractual or legal obligations or in order to answer your enquiries. In some cases, we commission external service providers to process your data; these service providers process the data on our behalf as data processors (e.g. for central IT services or for the hosting of our website). Service providers who work for us as data processors are onlyIn some cases, we commission external service providers to process your data; these service providers process the data on our behalf as data processors (e.g. for central IT services or for the hosting of our website). Service providers who work for us as data processors are only allowed to use the data in accordance with our instructions. In this case, we are legally responsible for seeing that adequate data protection precautions are implemented at the companies that we commission. 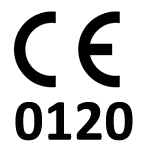 These companies have been selected by us with meticulous care, have been commissioned in writing in accordance with the legal requirements, are under a binding obligation to follow our instructions and are regularly inspected. - the forwarding of the data is necessary to safeguard our legitimate interests, pursuant to Art. 6 para. 1 clause 1 lit. f) GDPR, provided your own interests do not outweigh ours. If we plan to pass on personal data to third parties, you will find more details on this point in the information on the individual data processing procedures in this Data Protection Declaration or when disclosing your personal data. We only process and store personal data for the period of time that is necessary for achieving the purpose of the processing. If the purpose of the processing ceases to exist, the data will be erased, unless statutory storage obligations stand in the way of its erasure. In the latter case, the processing will be restricted in order to fulfil the storage obligations. You will find further details in conjunction with the information on the individual data processing procedures in this Data Protection Declaration, or when disclosing your personal data. We use SSL or TLS encryption for visits to the website and in order to protect the transmission of content. You can see this by the closed depiction of the key or lock symbol in the bottom status bar of your browser, which your browser displays when there is an SSL connection. Besides this, we also employ appropriate technical and organisational security measures to protect your data from accidental or intentional manipulation, partial or total loss, destruction, or unauthorised access by third parties. Our security measures are being continually improved, in accordance with the ongoing technological developments. You can find more detailed information on your rights in Section IV. of this declaration. - The internet service provider of the accessing system. The legal basis for the data processing is Art. 6 para. 1 clause 1 lit. f) GDPR. Our legitimate interest lies in the purposes of the data processing listed above. We do not, under any circumstances, use the collected data for the purpose of drawing conclusions about you as a person. To ensure the security of our IT systems, particularly for defending against cyber attacks, the data is temporarily stored for a short time and subsequently erased. We hereby draw your attention to the fact that, in the event of your data being processed on the basis of Art. 6 para. 1 clause 1 lit. f) GDPR, you have the right to object to the processing, pursuant to Art. 21 GDPR. You will find more detailed information on this in Section IV. 10 of this Data Protection Declaration. The data generated in connection with the device that is specifically used is stored in the cookie. However, this does not mean that we thereby directly gain knowledge of your identity. Likewise for the purpose of optimising user friendliness, we also use temporary cookies that are stored on your device for a certain set period – which can differ, depending on the cookie. If you revisit our website in order to utilise our services, these cookies make it possible to automatically recognise that you have visited us before, what entries and settings you have made, in order to save you making those entries and settings again. We use the cookies to make your visit to our website more pleasant and easy. The data processing is carried out on the basis of Art. 6 para. 1 clause 1 lit. f) GDPR, as we have a legitimate interest in storing cookies, in order to be able to provide our services in a technically fault-free and optimised way. Most browsers accept cookies automatically. However, you can configure your browser in accordance with your wishes, so that, for example, no cookies are stored on your computer or so that a notice always appears before a new cookie is deposited. You can also delete the cookies in the security settings of your browser at any time. However, if you deactivate cookies completely, this may result in your not being able to use all the functions of our website. If you contact us via the e-mail address provided, the data you disclose is stored by us and used for the exclusive purpose of processing your enquiry and contacting you to handle your request. The legal basis for processing data that is forwarded in the course of transmitting an e-mail is Art. 6 para. 1 clause 1 lit. f) GDPR. Here, our legitimate interest lies in handling your request, and is not outweighed by any of your interests, as you contact us voluntarily for this purpose. We hereby draw your attention to the fact that, in the event that data is processed on the basis of Art. 6 para. 1 clause 1 lit. f) GDPR, you have the right to file an objection to the said processing, in accordance with Art. 21 GDPR. You will find more detailed information on this point in Section IV. 10 of this Data Protection Declaration. If you contact us for the purpose of concluding a contract, an additional legal basis for the processing is Art. 6 para. 1 clause 1 lit. b) GDPR. We automatically erase the data if the storage is no longer necessary, particularly if we have finished processing your enquiry. Our further use of data that we have stored for other purposes and that we are entitled to process on the foundation of a different legal basis (e.g. relating to data necessary for the execution of the contract) shall thereby remain unaffected. Insofar as we are subject to any statutory storage obligations, we will restrict the processing to the amount necessary to fulfil the said obligations. Irrespective of this, you are entitled to exercise your rights as a data subject. For more detailed information, please refer to the information we provide on the rights of the data subject in Section IV of this Data Protection Declaration. We offer you the option of contacting us through a form that is provided on the website, in order to make enquiries about a specific product. If you would like to take advantage of the offered option of using the contact form for product enquiries, we need your valid e-mail address to enable us to contact you concerning your product enquiry. Further data can be entered on a voluntary basis. When you contact us via the contact form, the data you provide is transmitted in an encrypted form and stored and used by us to contact you in order to handle your request. When you use our contact form, the legal basis for processing the data is Art. 6 para. 1 clause 1 lit. b) GDPR, as it involves precontractual measures that are taken on the basis of your enquiry. We automatically erase the data if it is no longer necessary to store it, particularly if we have finished processing your enquiry. Our further use of data that we have stored for other purposes and that we are legally entitled to process on the foundation of a different legal basis (e.g. relating to data necessary for the execution of the contract) shall thereby remain unaffected. Insofar as we are subject to any statutory storage obligations, we will restrict the processing to the degree that is necessary to fulfil the said obligations. Irrespective of this, you are entitled to exercise your rights as a data subject. For more detailed information, please refer to our information on the rights of the data subject in Section IV of this Data Protection Declaration. If you send us job applications by e-mail or in writing, we only process your data relevant to your application for the purpose of conducting the application procedure. We will not pass on your data to third parties. The legal basis for the processing is Art. 88 GDPR in conjunction with Section 26 of the German Federal Data Protection Act (BDSG), as we need your data in order to decide whether or not to establish an employment relationship with you. If the application procedure ends with the concluding of an employment contract, the forwarded data will be stored for the purpose of establishing the employment relationship, in conformity with the legal provisions. Otherwise, the application documents will be automatically erased three months and one week after we have informed you that your application has been rejected, unless we are entitled to store your data beyond that period, for up to 6 months, on the foundation of a different legal basis, e.g. based on your explicit consent. If you have subscribed to our newsletter, we use the data that you enter into the input mask for the exclusive purpose of sending you our newsletter, which contains current information on products, services and marketing campaigns, trade fairs and other news. To receive the newsletter, it suffices if you give us an e-mail address, although you can disclose your name on a purely voluntary basis. If you disclose your name to us, we will only use it in order to address you personally. We will not pass on the data to third parties. For receiving subscriptions to our newsletter we use what is called the “double opt-in procedure”. This means that after you subscribe, we will send you an e-mail to the e-mail address you have provided, in which we ask you to confirm that you want to be sent the newsletter. If you do not confirm your subscription within 48 hours, your data will be blocked and, after one month, automatically erased. The data processing is based on your consent, pursuant to Art. 6 para. 1 clause 1 lit. a) GDPR. You can at any time revoke your consent to being sent the newsletter and unsubscribe from the newsletter. For more detailed information, please see our information on the rights of the data subject in Section IV. 1, and information on exercising this right in Section IV. 8 of this Data Protection Declaration. You can declare your revocation of consent by clicking on the link provided in each newsletter e-mail, by sending an e-mail to datenschutz@berner-safety.de or by sending a message to the contact data provided in the company details section. It is necessary for us to collect this data in order to be able to verify your subscription and to make it possible to later check any misuse of your e-mail address. The collection of this data therefore serves to protect us legally. The legal basis for it is Art. 6 para. 1 clause 1 lit. f) GDPR. We hereby draw your attention to the fact that, in the event of data processing based on Art. 6 para. 1 clause 1 lit. f) GDPR, you have the right to file an objection to the processing in accordance with Art. 21 GDPR. You will find more detailed information on this point in Section IV. 10 of this Data Protection Declaration. As it is necessary for us to store the data for our own legal protection, if you exercise this right to object, you must unsubscribe from the newsletter. Your data will be stored for as long as you subscribe to the newsletter. After you unsubscribe the data will be erased. The continued use of data that we have stored for other purposes and which we are entitled to process on the foundation of a different legal basis (e.g. relating to the data necessary for the execution of the contract) shall thereby remain unaffected. We use the Google Maps service via an API, in order to visually display geographical information through the Google Maps service. The provider is Google Inc., 1600 Amphitheatre Parkway, Mountain View, CA 94043, USA. When someone uses Google Maps, Google also collects, processes and uses data on the use of the map functions by visitors to the website, particularly their IP address. This data is generally transmitted to one of Google’s servers in the USA. The provider has no control over this said data transmission. The data transfer takes place irrespective of whether Google provides a user account through which you are logged in, or whether no user account exists. If you are logged into Google, your data is directly assigned to your account. If you do not wish it to be assigned to your profile at Google, you must log out before activating the button. Google stores your data as usage profiles and uses these for the purpose of advertising, market research and/or the needs-oriented design of its website. In particular, such analysis is carried out (even in the case of users who are not logged in) for the purpose of placing needs-appropriate advertisements and of informing other users of the social network about your activities on our website. We use Google Maps in order to make our website more appealing and to give you the possibility of more easily finding locations that are given on our website – for example, our company headquarters. The legal basis for the data processing is Art. 6 para. 1 lit. f) GDPR. The purposes presented above collectively represent a legitimate interest that is not outweighed by the interests of the data subject. You have the right to file an objection to the creation of these user profiles, whereby in order to exercise this right you must contact Google. (1) On our website, we have embedded YouTube videos, which are stored on http://www.YouTube.com and can be played directly on our website. The provider is YouTube, LLC 901 Cherry Ave., 94066 San Bruno, CA, USA, a company of Google Inc., Amphitheatre Parkway, Mountain View, CA 94043, USA. (2) We only have videos from our own YouTube channel embedded on our website. The embedding is done for the purpose of making our website more appealing and informative. The legal basis for this is Art. 6 para. 1 clause 1 lit. f)) GDPR. The underlying commercial goal should be regarded as a legitimate interest in the sense of the GDPR. (3) When embedding videos, we use the “extended data protection mode” option provided by YouTube. According to the information supplied by YouTube, this means that if you do not play the videos, no data concerning you as a user will be transmitted to YouTube. Not until you play the videos will the data specified in paragraph 4 be transmitted. We have no control over this transmission of data. (4) When you play the videos, YouTube receives the information that you have accessed the relevant sub-page of our website. In addition, the data specified in Pt. 1 of this Declaration and collected when you visit the website, is also forwarded. This takes place irrespective of whether YouTube provides a user account through which you are logged in, or whether no user account exists. If you are logged into Google, your data is directly assigned to your account. If you do not wish it to be assigned to your profile at YouTube, you must log out before activating the button. YouTube stores your data as usage profiles and uses these for the purpose of advertising, market research and/or the needs-oriented design of its website. In particular, such analysis is carried out (even in the case of users who are not logged in) for the purpose of placing needs-appropriate advertisements and of informing other users of the social network about your activities on our website. You have the right to file an objection to the creation of these user profiles, whereby in order to exercise this right you must contact YouTube. Pursuant to Art. 7 para. 3 GDPR, if you have given your consent to the processing of your data, you have the right to at any time revoke the consent that was once granted. This will result in our no longer being allowed to continue processing the data for which you gave your consent, in the future. The lawfulness of the processing carried out up to the said revocation shall thereby remain unaffected: this means that the processing carried out in the past on the basis of your consent shall remain lawful. - The existence of automated decision-making, including profiling, and – if necessary – meaningful information on the details of these procedures. Pursuant to Art. 16 GDPR, you have the right to request the immediate rectification of incorrect data or the completion of your personal data stored at our company. - the personal data has been collected relating to information society services, pursuant to Art. 8 para. 1 GDPR. This does not apply if the processing is necessary in order to exercise the right to freedom of expression and to information, to fulfil a legal obligation, on grounds of the public interest, or in order to assert, exercise or defend legal claims. - You have filed an objection to the processing, pursuant to Art. 21 GDPR, as long as it has not been firmly established whether our legitimate reasons outweigh your own reasons. In such a case, it will only be permitted to process your data, apart from the storage of data, with your consent or for specific, legally stipulated purposes, particularly for the purpose of prosecution and of protecting the rights of other persons. We will notify you before the said restriction of processing is lifted. Pursuant to Art. 20 GDPR, you have the right to request to receive the personal data, which you have provided to us, in a structured, commonly used and machine-readable format, or to have it transferred to another data controller. Under certain conditions, you also have the right, pursuant to Art. 21 GDPR, to file an objection to the processing of your personal data. Regarding this point, please read our specific information under Pt. 10: Specific information on your right to object, pursuant to Art. 21 GDPR. If you would like to exercise your aforementioned rights, you can contact us at any time. To do this, it suffices if you, for example, send an e-mail to the Data Protection Officer via datenschutz@berner-safety.de or a message to the contact address given in the company details. The precondition for exercising this right to object is that the data processing is carried out on the basis of Art. 6 para. 1 clause 1 lit. e) or f) GDPR. Art. 6 para. 1 clause 1 lit. e) regulates cases in which the processing is necessary for fulfilling a task that is in the public interest or that is carried out in the exercise of a public authority vested in the data controller. This primarily applies to public authorities such as the federal government, federal states and their authorities, and to private individuals who have been invested with public authority. Art. 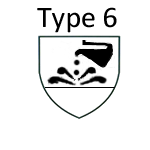 6 para. 1 clause 1 lit. f) GDPR permits data processing when this is necessary in order to safeguard the legitimate interests of the data controller or of a third party, provided the interests or basic rights and basic freedoms of the data subject do not outweigh the said interests. If the data processing is carried out on one of these legal bases, you have the right to at any time file an objection to the processing of the personal data concerning you, for reasons arising from your particular situation. This also applies to profiling carried out on the basis of the said provisions. The result of filing an objection: After an objection has been filed, we will no longer process the data, unless we are able to prove compelling legitimate grounds for the said processing that outweigh your interests, rights and freedoms, or unless the data is processed for the purpose of asserting, exercising or defending legal claims. The precondition for exercising this right to object is that your data is processed in order to conduct direct advertising. In this case, you have the right to at any time file an objection against the data processing for the purpose of conducting this kind of advertising. This also applies to profiling, if it is connected to direct advertising. The result of filing the objection will be that the data will no longer be processed for these purposes. If you would like to exercise your right to object in accordance with a) or b), you can contact us at any time. To do this, it suffices if you, for example, send an e-mail to the Data Protection Officer via datenschutz@berner-safety.de or a message to the contact address given in the company details. 22 March 2019 | Final round!